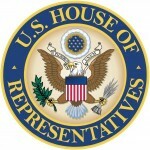 The Office of Congressional Ethics (OCE) of the U.S. House of Representatives is an independent, non-partisan entity charged with reviewing allegations of misconduct against Members, officers, and staff of the U.S. House of Representatives and, when appropriate, referring matters to the House Committee on Ethics. Learn more. The OCE will accept and review information concerning allegations within its jurisdiction. Please note that a submission of information does not automatically result in an investigation. The decision to begin an investigation (preliminary review) lies solely with the OCE Board. You may make a submission here.